The misconception about photography is that you simply push a button and a wonderful image appears. In truth, a good photograph is complex: it uses principles of design to be more visually effective and communicate to its viewer with symbolic meaning. In this class students will learn the ability to use their DSLR cameras more effectively. Students utilize design principles in order to create more compelling photographs. Students are able to communicate their ideas with technical control as well as learn creative concepts. No experience? No problem! Designed for the true beginner, these affordable classes will introduce you to the basic tools and techniques of photography along with expanding your art knowledge. Wet your appetite, meet some new people, then move on to create better artwork. Private Photography Classes also available with Leah Macdonald (beginners or advanced) for $45.- an hour or a bundle of 6 classes for $250.- For more information contact Leah: 610 247 9964. Become a member for only $60.- and pay the reduced fee for this class. This way, you get this wonderful class at a reduced price, while enjoying all the benefits of membership for the whole year! Growing up in Philadelphia my life was rich with art and a diverse source of cultural experiences. I discovered photography while attending the Shipley School in Bryn Mawr. I took my first college course at the University of the Arts in Philadelphia. I thought I would become a photojournalist. 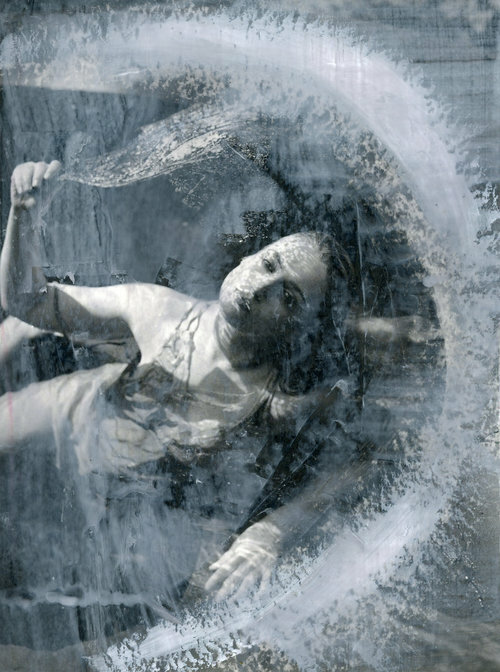 I have always been very experimental, I enjoy painting on photographs with beeswax. Leah received her Masters and Bachelors Degrees in Photography and also began her career as a teacher and a mixed media artist. In 1999, she returned to Philadelphia to focus on her career. She is an artist and she teaches mixed media workshops from her studio and on location. She taught at the Philadelphia Art Institute and Camden County Community College. She is also a commercial photographer, has worked with Susan Beard Design and is owner of Jewellea Photography, specializing in weddings and portraits. Leah enjoys making art and books for Bliss Books, a high end, hand-made album company. Leah is a professional photographer and artist and made a name for herself in the Philadelphia artist community.